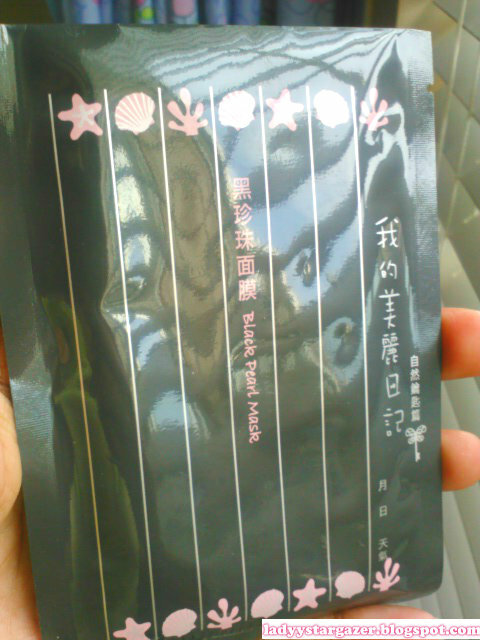 My Beauty Diary Black Pearl Mask whitens skin and restores elasticity for skin. It is ideal for all skin types, especially dull and loose skin. Ultimate whitening complex composed by black pearl extracts is a beauty ingredient containing amino acid and microelements. Blended with marine and botanical essences, it activates skin’s natural hydrating and whitening mechanism, leaving skin silky and radiant. Leaves skin elastic and translucent: Natural vitamin C extracted from pineapple, rum and cucumber boosts metabolism. Deep nourishment restores skin’s elasticity. 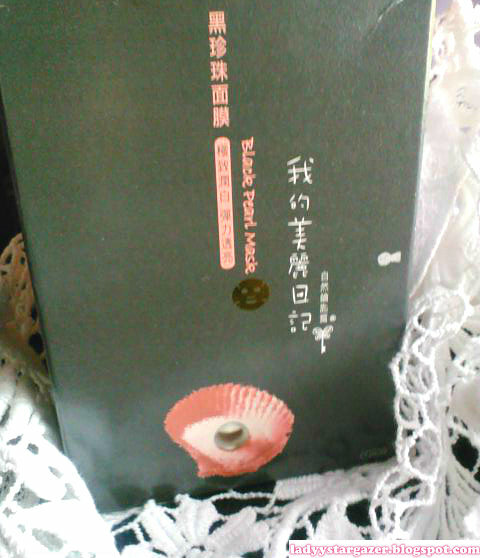 When I read the amazing benefits of this mask I had to buy it. 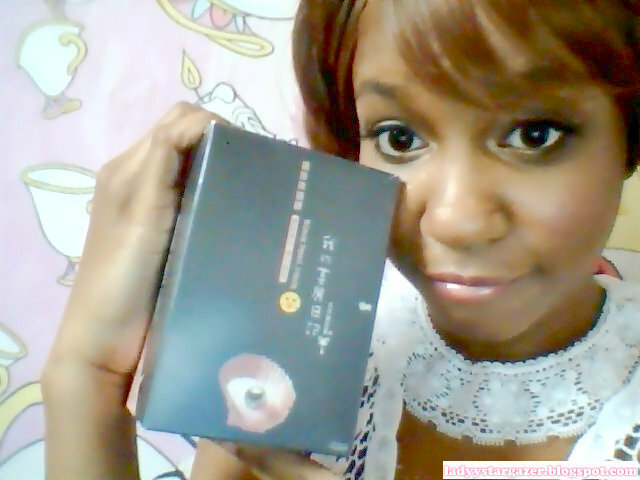 I ordered it from Amazon, but you can also find it on sasa.com and imomoko.com.This review is only from my first impression of the mask, a more in depth one will be given later. I washed my face with Likas Papaya Soap and used a toner. The moment I opened the package essence spilled out, creating a bit of a mess. Scent: The smell of the essence was very light, and pleasant. 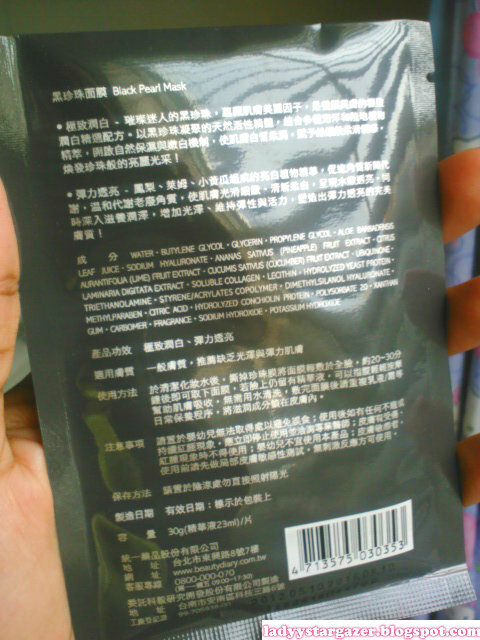 I rather have a light smell with a mask I have to wear 20-30 min. Feel during: The feel during wearing the mask is cool and refreshing. You cannot move your face very much, and may talk weird. I felt like a well moisturized psycho killer. My family was quite surprised and found it hilarious ( my sister said I reminded her of Bane from Batman -_-*). Feel Afterward: My skin felt packed with moisture. A lot of extra essence was left on my face, which I just massaged in while reading my book for the night. Oh! One more thing. I also placed some of the essence into gloves, and on my hands. I wore the gloves for about 20 min. My hands felt yummy and soft afterward! Well, that's it for the first look of My Beauty Diary Black Pearl Mask. Thank you for reading, and laughing at my psycho face :P.